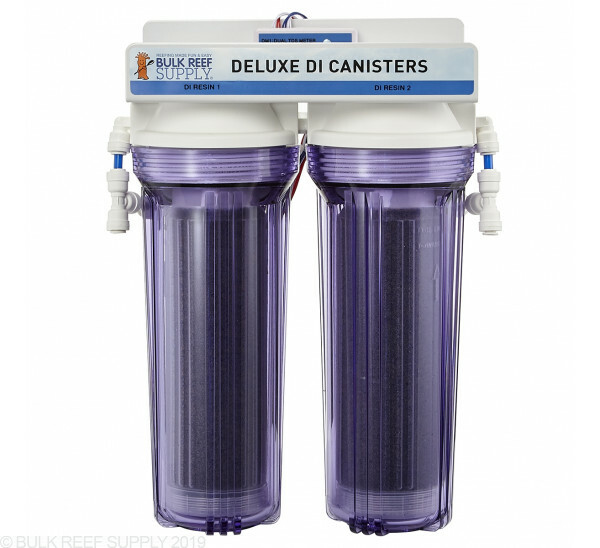 Dual deionization add on canister kit complete with triple TDS Meter and pre-packed color changing DI cartridges! Add deionization stages to your current RO system or upgrade your RO/DI system. 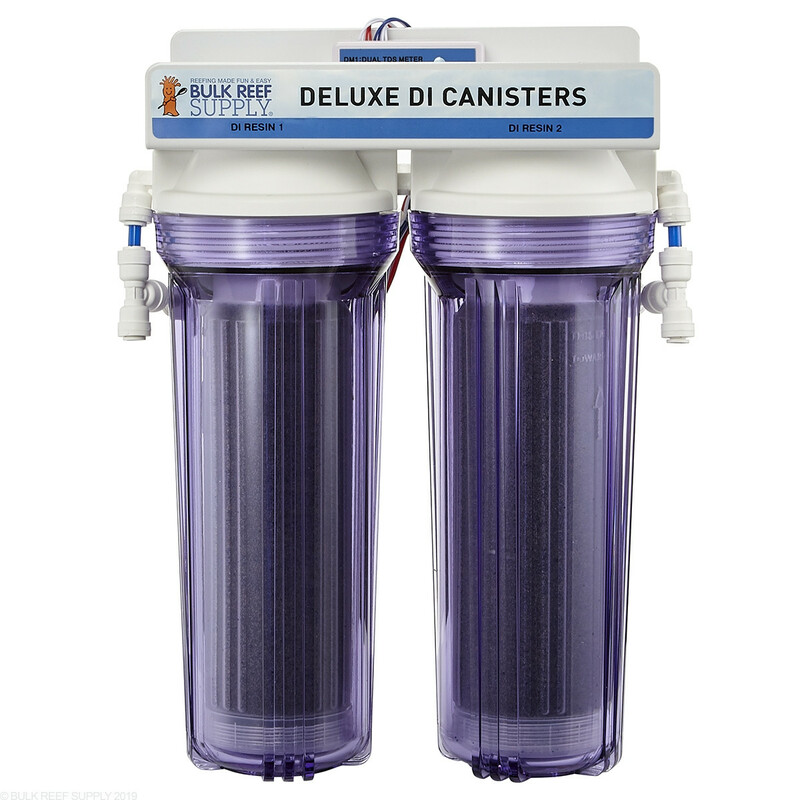 The HM Digital DM-1 Dual TDS Meter lets you see the quality of water you are producing at multiple points throughout the DI Stages. Dimensions - 10" x 6.25" x 14"